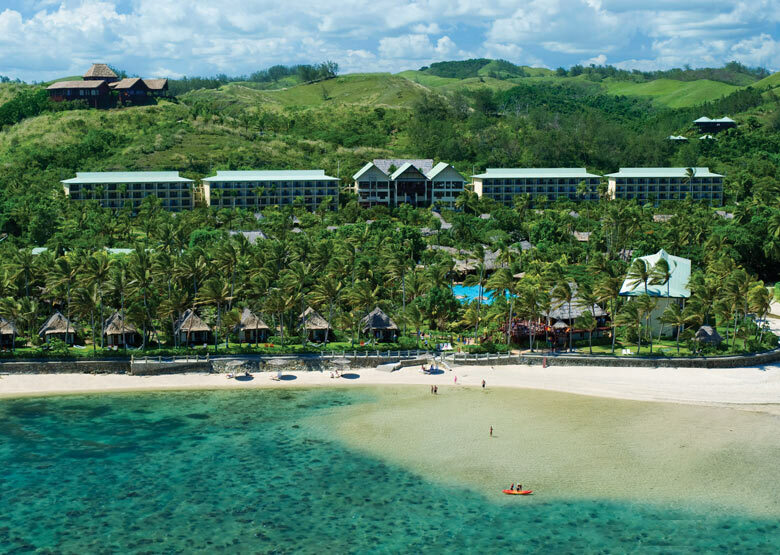 Outrigger Fiji Beach Resort is an award winning 5 star beachfront resort situated in the heart of Fiji’s Coral Coast amongst 40 acres of lush tropical landscaped gardens. 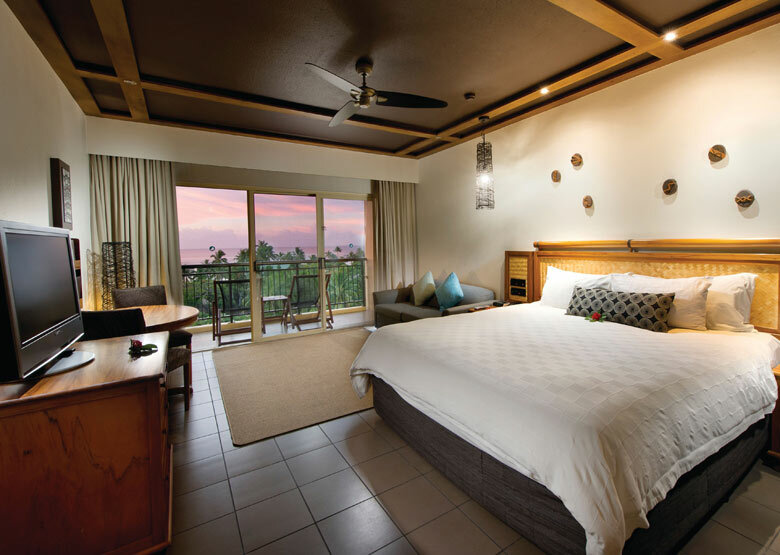 The Outrigger Fiji Beach Resort offers both hotel rooms and bure style accommodation as well as 2 bedroom suites and bures that are ideal for families. Its guest facilities are second to none and include a huge lagoon style swimming pool, extensive water activities, complimentary 24 hour fitness centre, 2 flood lit tennis courts, an international standard golf training facility, 4 unique restaurants and 5 bars. The most friendly & caring ‘Meimei’ service. Your kids will love this! The property has a wonderful kids club that offers a comprehensive daily activities program to suit guests of all ages. It is also home to the hugely popular Meimei – a dedicated and highly trained nanny service which cares for infants and toddlers aged 6 months + for 8 hours a day for 4 days. Extra little touches that will top off your holiday. 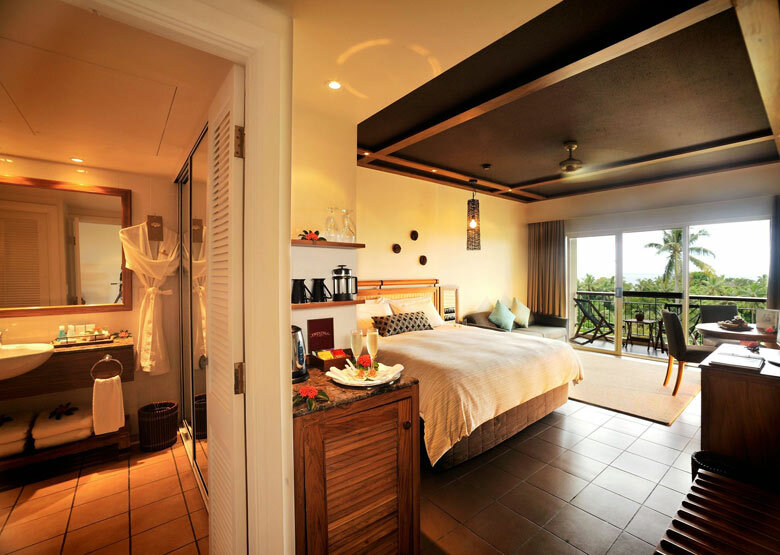 Guests staying in a bure, suite or Deluxe Ocean View Room also benefit from the “Talai” (butler) VIP service, which includes a welcome drink, personalised guest services, and complimentary sparkling wine and canapés personally delivered to your bure/room every afternoon. 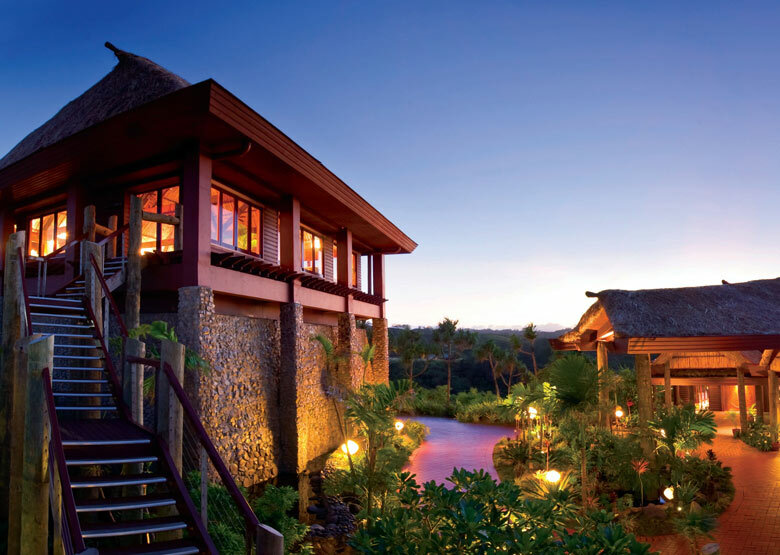 Outrigger’s highly acclaimed mountaintop Bebe Spa features 8 treatment rooms, breathtaking ocean views and a fabulous array of indulgent treatments that guarantee that you return home relaxed and rejuvenated. 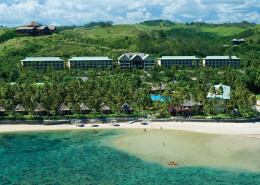 Outrigger Fiji Beach Resort is an award winning 5 star beachfront resort situated on Fiji’s Coral Coast. 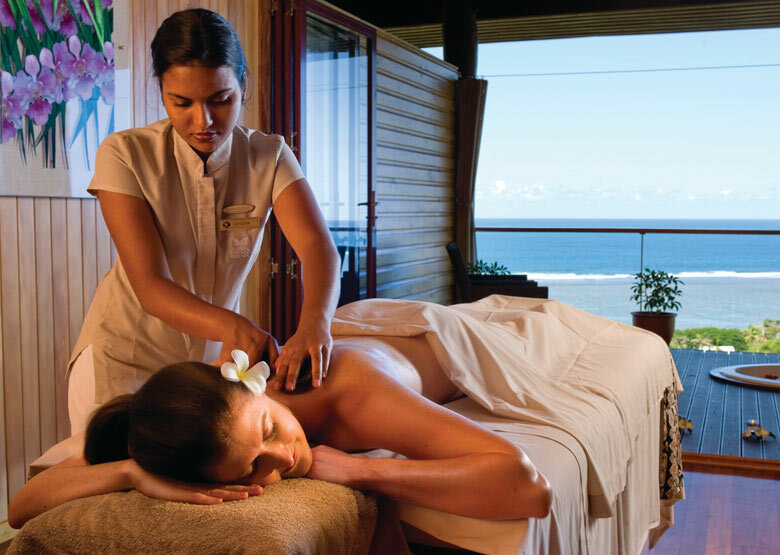 The resort offers hotel rooms and bure style accommodation, fabulous dining options, 2 vast swimming pools including 1 adults only, fitness centre, Kids Club, Wedding Chapel and mountaintop Bebe Spa with breathtaking ocean views. A great all round resort experience that doesn’t disappoint. 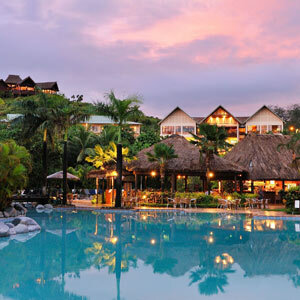 The Outrigger is located on the mainland of Fiji, Viti Levu. Situated on the popular Coral Coast, this resort is easily accessible. A vehicle transfer time is approximately one hour from Nadi Airport. See map below for exact location. I have nothing but praise for this resort. The superb location and beautiful people made for an unforgettable first visit to Fiji. 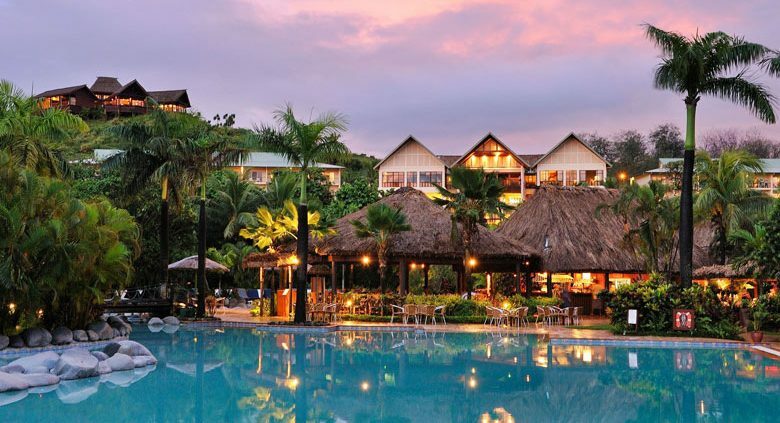 The resort offered a good variety of events/activities (I loved the fire walkers and the nightly torch lighting ceremony) and eating places, all of which proved to be good value for money. The staff were without exception welcoming, helpful and hard working and their kindness made for a very memorable experience.